Anyone for some traditional rounds of roulette? European Roulette is here! You might have had a glimpse of the plethora of casino games at Vegas Spins but this one is worth a few clicks or tap. Explore the exciting gameplay of European Roulette by NetEnt on any device of your choice. Only a few stakes on your lucky numbers and here you go! You might be the next potential winner on this thrilling table game. Ready for the fun, players? Bet Levels: European Roulette does not offer any Bet Levels. However, you can stack coins multiple times to increase the bets. Amount of Paylines Selection: This game by NetEnt is a table game. Table Games such as roulette do not operate on Pay Lines. Coin Values: Feel free to choose between a maximum of 1000.00 and a minimum of 0.10 when it comes to the chip values. You can spot all the available values just at the bottom tab. 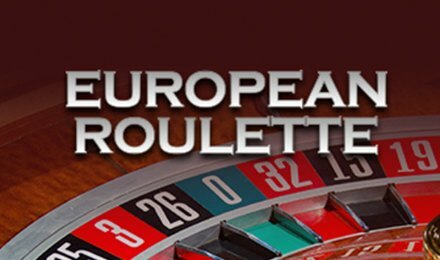 European Roulette proposes the various standard bets when it comes to Betting. Suit yourself to adjust your gameplay with bets such as Columns, Dozens, Red or Black, Even or Odd, Six Line, Corner, Three Line, Split or Straight. The numbers on the roulette wheel are not in ascending order. As such, it could be time-consuming to set a wager to a certain region. As such, the Racetrack Bets come in handy. You can click onto the Racetrack icon to activate it and then click on the various numbers you wish to wager on. Hot and Cold Numbers can be spotted on the top right side of the screen. These are the numbers that have paid the most and the least. This can actually be useful, indeed! Good luck on a thrilling round of European Roulette!